Foreign students from the International Education College of Shanghai University of Traditional Chinese Medicine have achieved good results at the university’s 39th Students Games. A total of 81 foreign students from 20 countries joined the games. They won seven champions of the total 18 track and field events. Notably, Chiang Yi-Kang, a student from New Zealand, broke two university records, the shot put and medicine ball. A total of four school records were broken in this game. 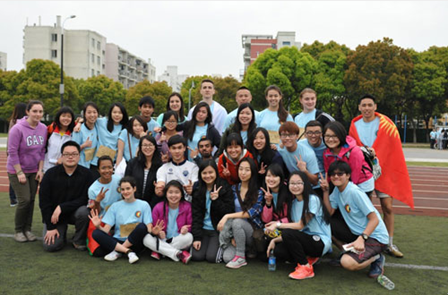 Three teachers from the International Students Office, Kong Qinghao, Jiang Zhehao and Wang Xin, led the three teams of foreign students in training and competing for the games. The event has enriched foreign students’ life in campus and enhanced their friendship with each other.